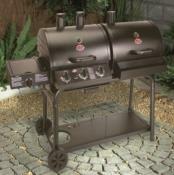 There are many different types of barbecue on the market. Whichever one you choose, keep safety in mind. 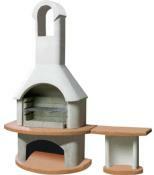 Besides the normal charcoal models, you can also purchase gas and do-it-yourself kits. 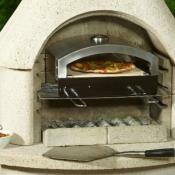 Make sure your barbecue is sturdy and on a suitable flat surface as barbecues become deceptively very hot when in use. Position the barbecue well away from fences and trees. Situated in a position where the barbecue will not be knocked over. Site the barbecue away from their homes. Keep all utensils and plates for cooked foods separate from those used for uncooked food. All meat should be cooked thoroughly but portions of chicken and other poultry need particular care. Food should not be left in the sunshine. Only barbecues with lids are suitable for cooking joints and whole chickens. Other types will not cook the meat thoroughly. Use a meat thermometer to check that the meat is cooked. To minimise accidents, ensure children are under constant supervision and never leave the barbecue unattended. Ensure suitable fire fighting equipment is close at hand, e.g. garden hose/bucket of sand. Never put hot ashes directly into a dustbin. Wait until they have cooled down. Always use the correct materials and fuels for lighting the barbecue and observe the manufacturer's instructions. Never pour lighter fuel onto hot coals even if they appear to have gone out. Keep combustible materials and matches away from the barbecue. Avoid using lighter liquid fuels if possible.